I have been mulling this post over for days, trying to figure out how to describe how amazing I think this film is. And I have been sitting here thinking about seeing it last weekend, and I feel like I was so happy not knowing anything about it other than a few little things here or there. I just knew that I was so excited when it was the surprise film of the festival and I was more excited to see it than anything else! I will say that I think this film is with out a doubt the most amazing film I have ever seen. It is so perfect - rarely do I watch a movie and not want to change a thing. I left wanting to see it again the next day. It is the right amount of everything. It is devastatingly beautiful, the colors are so thematic and theatrical, the ballet costumes by Rodarte are to die for. The film so perfectly shows the artists struggle to be both the white swan as well as the black swan. 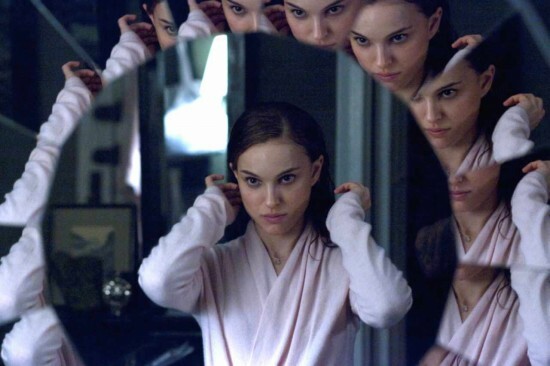 Natalie Portman is inspiring in it and her transformation is one of profound intensity, beauty and darkness. I can't recommend it highly enough. I have never seen anything like it, I feel I had an intense cathartic experience watching this film. It is lingering in my mind and will definitely be one that stays with me to reflect on and wonder about. I will leave you with what little images I could find online, but these just scratch the surface of the beauty of this film. Watch the trailer here. It comes out on December 1st.